The importance of a fast, reliable broadband connection in today's homes can't be understated. Our livelihoods can depend on it, and heck, if you want to keep the kids quiet for half an hour, a dependable broadband supply can be the key to maintaining your sanity. Choosing the right provider can therefore be a significant decision, and here in the UK there are a growing list of protections designed to bring fairness to customers. New Ofcom rules introduced earlier this month state that providers must now provide a minimum guaranteed speed at the point of sale, and should speeds fall below that level, the provider has one month to improve performance before the customer is allowed to walk away penalty-free. 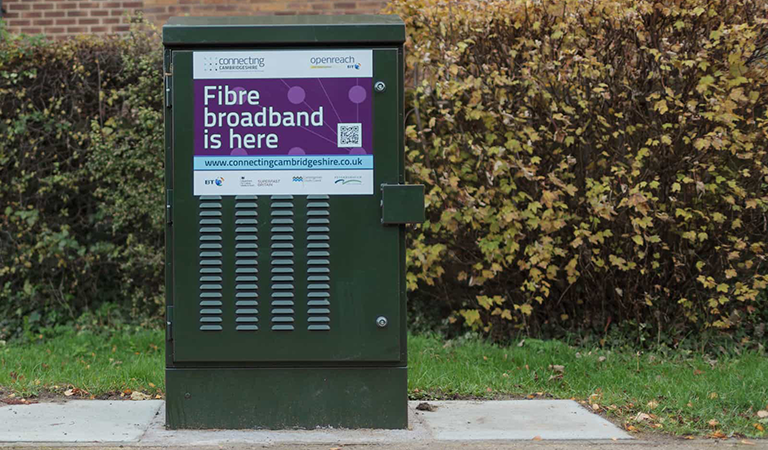 It's a change worth knowing about if your broadband performance is temperamental, and seeing as it's topical, we're using this week's question as an opportunity to ask: are you happy with your broadband provider? Let us know who you're with, and how you rate them, using the comments facility below. 35 QOTW: Which is the best mobile web browser? Yes. Zen seem reasonably priced (but not cheapest) with a good online portal, support that understands technical queries and a reliable connection. Worlds apart from my previous supplier Origin. Constant drop outs, non existant support and a clunky portal. Cheaper is not always better value. Yes. I'm with Virgin now, it's not perfect but all the others in my area are based around Openreach copper to the home and regardless of who I was actually with a fault on the line somewhere had reduced my service to less than 1mbps - and this is in a built up area which should otherwise have been capable of some form of ‘superfast’. Happy enough with the Virgin broadband but not so much with package cost (TV, phone, BB). What I'm really not happy with is constant incremental price increases, and I don't just mean the end-of-intro-deal hike. That, I knew of in advance and was expecting. What really annoys me is the way it keeps creeping up, when they add new channels that I don't want and then use that to justify a price increase and, after a while, you look at the bill and think how the did it get that high? Okay, before anyone says it, yes I know, ring and ask for retentions and threaten to leave and, probably, we'll get a price cut. My point is that I really, REALLY object to the type of sharp, disreputable (though legal) business practice that relies on customer inertia to gouge that customer and, to my mind, it entirely depends on automatic, on-going payment systems, on “subscriptions” where it renews automatically unless you actively cancel. And it isn't just broadband - everybody is at it, from magazine subscriptions to car breakdown to all forms of insurance. Okay, getting a bit off-piste (just fir a change) but you'd think that the billions and billions of pounds banks etc have had to pay over PPI mis-selling would have issued a red-flag to this kind of obnoxious-but-legal practive but it seems not. It seems companies like charging us for things we haven't said we want. For example, adding on insurance (yes, Scan, I mean you …. among many others) we haven't asked for, unless we explicitly turn it off, until legislation makes that sort of disreputable practice illegal … eventually. But in the meantime, it leaves a very bad taste in consumer's mouth. It is why I haven't used Scan for years, and why, though the broadband itself is fine, I am starting to get very angry with Virgin over being treated like an idiot. So on the vague off-chance that someone senior at Virgin, or my insurance company, or the AA, etc, reads this, I do not want to spend half my spare time looking to see how's gouging me this month. Yes, I know I can ring, moan and get a reduction but I just want a quiet life, not to spend it auditing the latest rip-off wheeze from companies I use regularly. So, happy with broadband, sure. Virgin? Nope. Not at all. I've never had incremental price increases on virgin except for the Retail Price Index increase. The only thing that frustrates me about Virgin (and any company that does this badly) is outsourcing to India and let their culture of KPI chasing run wild. Been on my current ISP for a year and am overall pleased with the service. Speed is consistently higher than advertised by an average of 10% (typical 220-225mbs down for advertised 200mbs) and about same 10% on upload too. Ping is very nicely low in all games and reliability is high with only 2 times in the last year down for a couple hours each time, both times due to weather and understandable. Our price hasn't changed at all since signing up last year, so that's been nice too. No data caps on my service. I did have to replace the router the ISP supplied me with with my own because it was kinda a piece of junk that only did the basic job of routing, and couldn't port forward to save it's life. Putting my own router in place worked fine with the ISP service, so that too is a positive. Overall nothing negative to say about Spectrum internet and cable, but am on the Time Warner side of it, apparently Spectrum isn't as solid on it's Charter side. Time Warner Spectrum is great, Charter Spectrum not so much, I've heard.